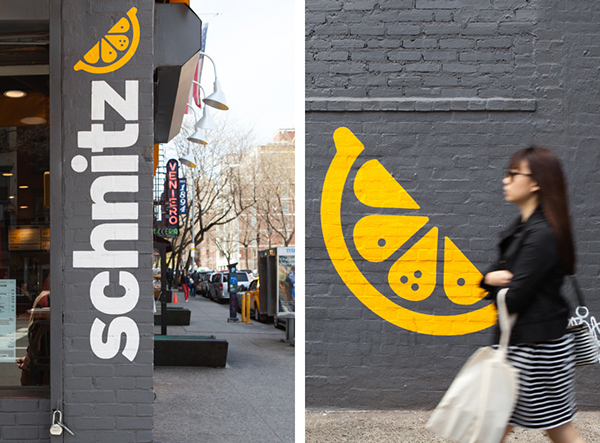 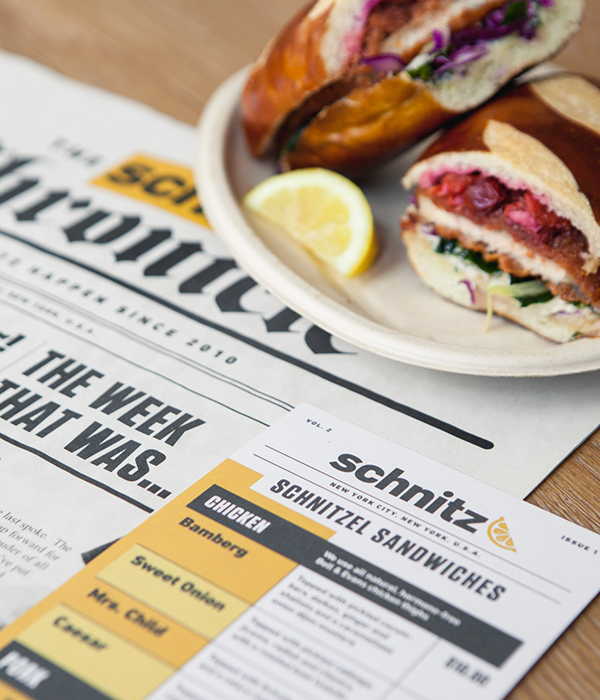 Located in New York City's East Village, Schnitz is known for it's irreverent and sometimes rebellious attitude. 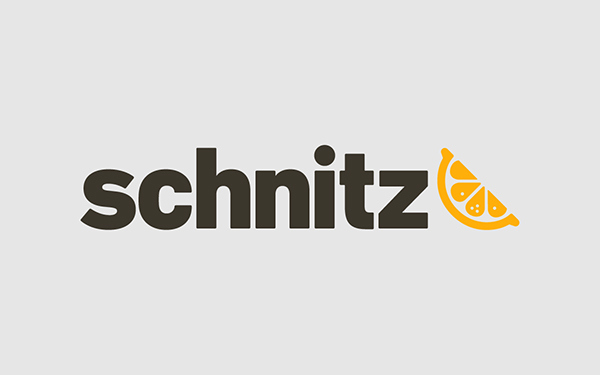 Starting out in street fairs with the biggest fryer they could fit, they began making Schnitzel sandwiches; serving each with a lemon wedge for that extra zest. 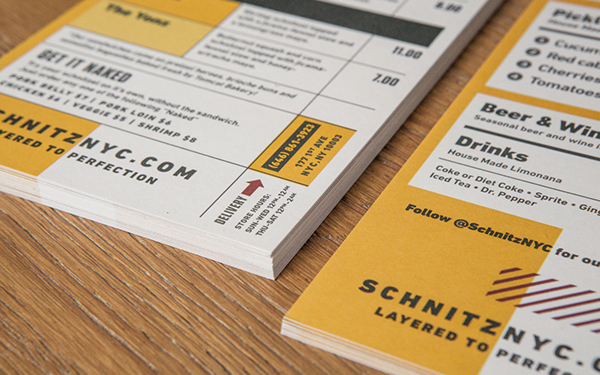 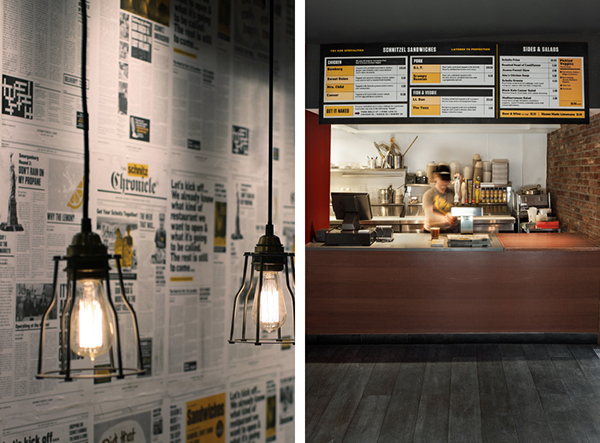 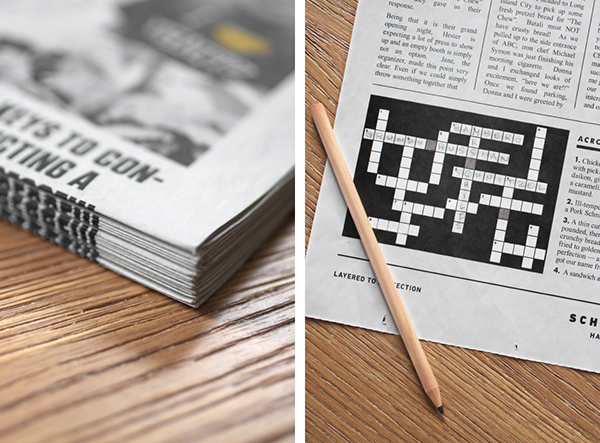 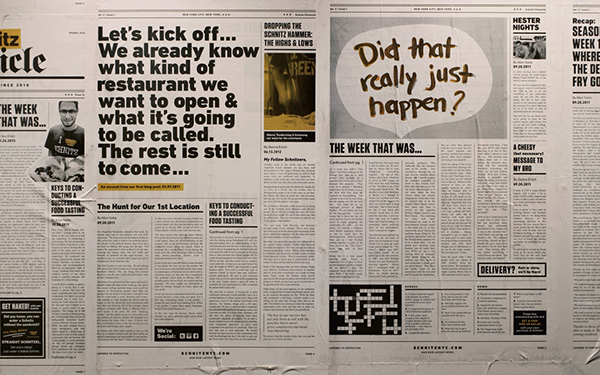 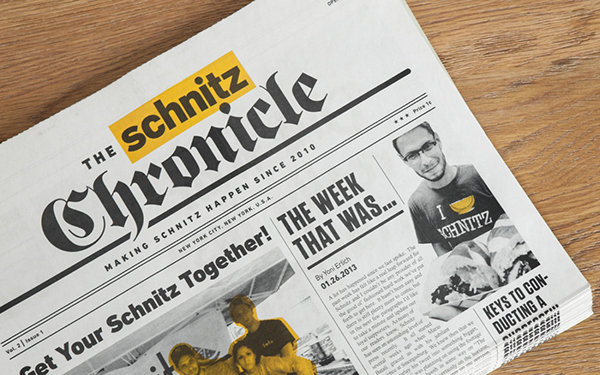 To showcase Schnitz's history so we created a custom newspaper using their old blog posts. 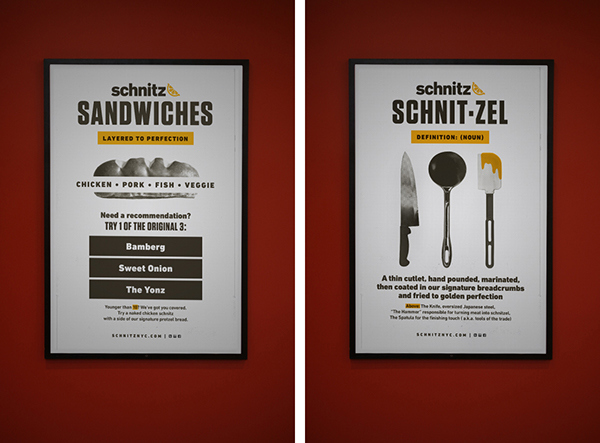 This served as both a promotional and hero piece within the space as custom wallpaper. 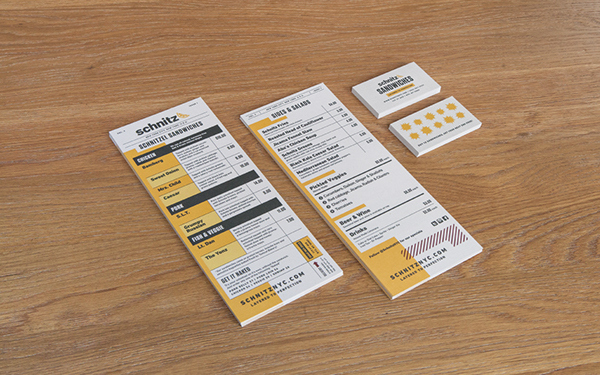 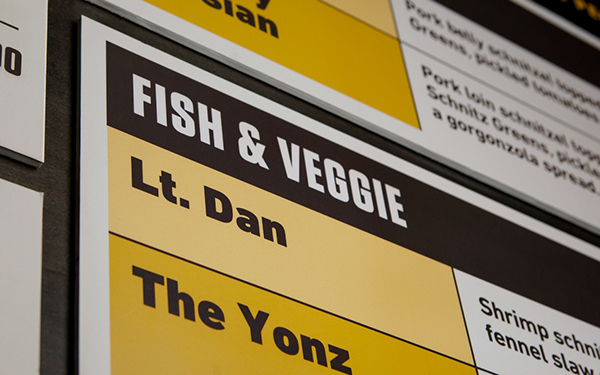 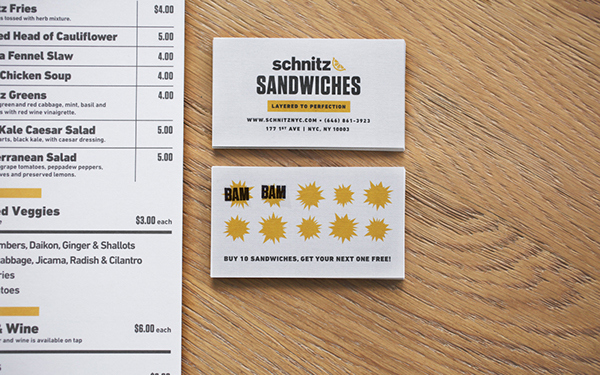 The menu and printed collateral are straight forward with a little bit of playfulness, just like the food they serve. 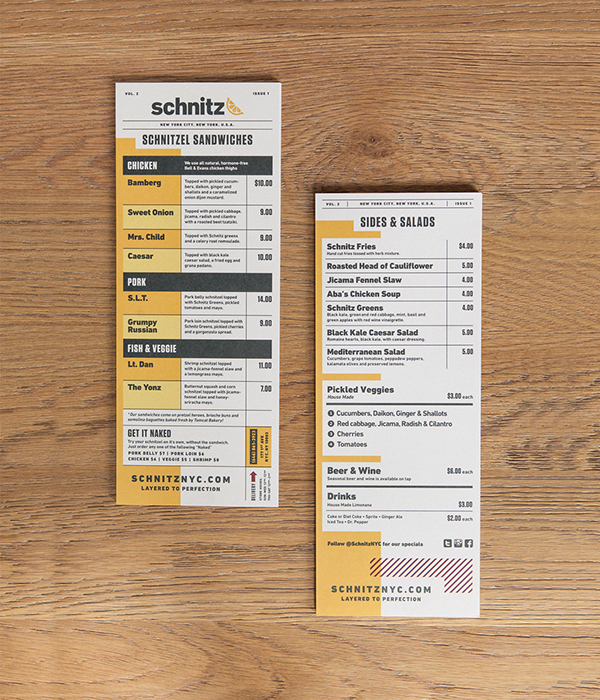 We kept the color palette very simple, using yellow and black for a high contrast punch and played off their signature sandwich garnish, the lemon.